On this date in 1917, Romanian Lieutenant Emil Rebreanu was hanged for attempted desertion by the Austro-Hungarian army. Here’s Rebreanu’s entry at the Enciclopedia Romaniei, which says in brief that he was one of 14 (!) brothers born in the part of present-day Romania that was then attached to the Kingdom of Hungary. Upon the outbreak of World War I, Rebreanu was drafted into the Austro-Hungarian forces and fought on several fronts. But his removal to the lines to fight against the independent Romanian state was a front too far: he attempted to cross the lines to the Romanians on the night of May 10-11, but was captured, court-martialed, and sentenced to hang. However, tragedy for the sizable Rebreanu family was a boon to world literature. 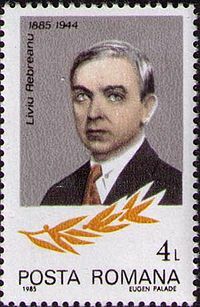 One of Emil’s many brothers was author Liviu Rebreanu, one of the greats of Romanian letters. The latter’s 1922 novel Forest of the Hanged clearly draws upon his brother’s fate: in Forest, a Romanian officer uneasily serving in the Habsburg army first condemns a Czech deserter to death as part of a tribunal, then attempts himself to desert to Romania. For his trouble, the character suffers the exact same fate as Emil Rebreanu. A 1965 Romanian film, also called Forest of the Hanged, adapts this novel for the silver screen.